One of the most popular ideas in education is applied in ways that its creator never intended. When Howard Gardner introduced his multiple intelligences theory 35 years ago, it was a revolutionary idea that challenged long-cherished beliefs. At the time, psychologists were interested in general intelligence—a person’s ability to solve problems and apply logical reasoning across a wide range of disciplines. Popularized in part by the IQ test, which was originally developed in the early 1900s to assess a child’s ability to “understand, reason, and make judgments,” the idea of general intelligence helped explain why some students seemed to excel at many subjects. Gardner found the concept too limiting. That doubt planted the seed that grew into Gardner’s big insight: The prevailing idea of a single, monolithic intelligence didn’t match the world he observed. Surely Mozart’s genius was partially, but not fully, explained by an extraordinary musical intelligence. And wasn’t it the case that all people demonstrated a wide range of intellectual capabilities—from linguistic to social to logical—that were often mutually reinforcing, and that ebbed and flowed over time based on a person’s changing interests and efforts? Those hypotheses have largely been confirmed by recent studies from the fields of neuroscience. A 2015 study, for example, upends the centuries-old idea that reading occurs in distinct areas of the brain; scientists have discovered, instead, that language processing “involves all of the regions of the brain, because it involves all cognitive functioning of humans”—not just visual processing but also attention, abstract reasoning, working memory, and predicting, to name a few. And a growing body of evidence has dramatically altered our understanding of brain development, revealing that we continue to grow and change intellectually well into adulthood. But if Gardner’s objective was to broaden and democratize our conception of intelligence—an idea that resonates deeply with teachers—the pull of the old model has been hard to shake. Today, the idea of multiple intelligences is as popular as ever, but it’s starting to look suspiciously like the theory Gardner sought to displace. “It’s true that I write a lot and also that I am misunderstood a lot,” says Gardner, who originally proposed seven distinct intelligences, adding an eighth a decade later. The big mistake: In popular culture, and in our educational system, the theory of multiple intelligences has too often been conflated with learning styles, reducing Gardner’s premise of a multifaceted system back to a single “preferred intelligence”: Students are visual or auditory learners, for example, but never both. We’ve stumbled into the same old trap—we’ve simply traded one intelligence for another. 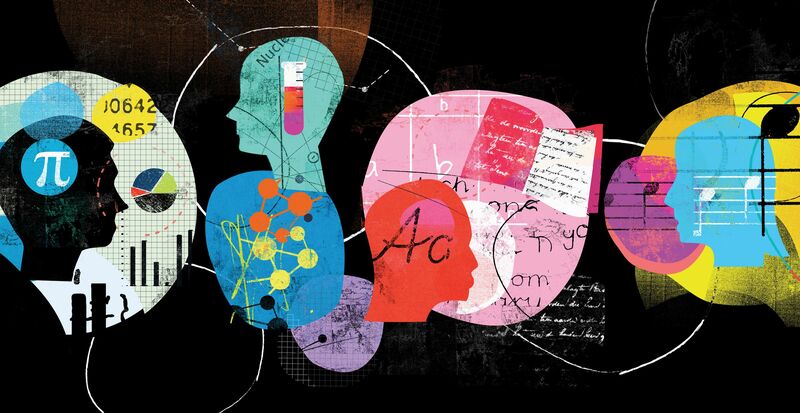 It’s clear that children learn differently—teachers in Edutopia’s audience are adamant on that score—but research shows that when students process and retain information, there is no dominant biological style, and that when teachers try to match instruction to a perceived learning style, the benefits are nonexistent. Students are also swayed by the idea. In a study published earlier this year, medical professors Polly Husmann and Valerie O’Loughlin found that many of their students “still hold to the conventional wisdom that learning styles are legitimate,” and often adapt their study strategies to match these learning styles. But after analyzing the test scores of these students, researchers found no improvement. Instead, they found that tried-and-true strategies—such as viewing microscope slides online—worked equally well for all students, whether they considered themselves linguistic or visual learners. The study highlights the value of learning through multiple modalities, which is an effective way to boost memory and understanding. A 2015 study found that students have a deeper conceptual understanding of a lesson when teachers pair lectures with diagrams. And a review spanning three decades of research found that students retain more information when textbooks contain illustrations because the images complement the text. When students use more than one medium to process a lesson, learning is more deeply encoded—and being overly reliant on a perceived dominant learning style is a recipe for learning less effectively. So what should teachers do? Gardner argues that “multiple intelligences should not, in and of itself, be an educational goal.” Instead, here are a few evidence-based dos and don’ts for applying multiple intelligences theory in your classroom. Give students multiple ways to access information: Not only will your lessons be more engaging, but students will be more likely to remember information that’s presented in different ways. Individualize your lessons: It still makes sense to differentiate your instruction, even if students don’t have a single dominant learning style. Avoid a one-size-fits-all method of teaching, and think about students’ needs and interests. Label students with a particular type of intelligence: By pigeonholing students, we deny them opportunities to learn at a deeper, richer level. Labels—such as “book smart” or “visual learner”—can be harmful when they discourage students from exploring other ways of thinking and learning, or from developing their weaker skills. Confuse multiple intelligences with learning styles: A popular misconception is that learning styles is a useful classroom application of multiple intelligences theory. “This notion is incoherent,” argues Gardner. We read and process spatial information with our eyes, but reading and processing require different types of intelligence. It doesn’t matter what sense we use to pick up information—what matters is how our brain processes that information. “Drop the term styles. It will confuse others, and it won't help either you or your students,” Gardner suggests. Try to match a lesson to a student’s perceived learning style: Although students may have a preference for how material is presented, there’s little evidence that matching materials to a preference will enhance learning. In matching, an assumption is made that there’s a single best way to learn, which may ultimately prevent students and teachers from using strategies that work. “When one has a thorough understanding of a topic, one can typically think of it in several ways,” Gardner explains.